I made this recipe several months ago and completely forgot about sharing it with you. Not because it was unmemorable – quite the opposite – but recipes and photos occasionally get lost in the bunch if I’m not careful. The photos on my computer are a bit out of control (or so says my husband). I’m trying to work up the courage to tell Eric that I’ve filled up yet another hard drive, but that is another story. This stuffed shell pasta is inspired by Terry Walters, author of Clean Food and Clean Start cookbooks. There’s a recipe for basic stuffed shells in her Clean Food cookbook, so I played around with it by adding more veggies and fresh herbs. The outcome is a tasty tofu “ricotta-like” cheese that can be added to stuffed shells, spread on lasagna, or even turned into eggplant rollatini if you are so inclined. Of course, it doesn’t taste exactly like ricotta cheese (not that I even remember what it tastes like! ), but it sure is a tasty dairy-free alternative. Speaking of eggplant rollatini, here’s a photo when I made it last summer – served on a bed of julienned carrot and zucchini “pasta” with a sprinkle of almond parmesan cheese. A lovely summer meal. Edit: I’ve added the directions for prepping the eggplant in the comments section. I haven’t been able to find any gluten-free dairy-free jumbo shells yet, but I’m sure they exist. If you know of any brands, please give them a shout-out in the comments! For those of you looking for a soy alternative, maybe give nut-cheese a try instead. I have a cheese recipe in my lasagna recipe that could probably be used for stuffed shells also. As for the tofu, you can crumble it by hand or you can use a food processor. I’ve made it both ways and I can’t decide which I prefer. Crumbling by hand is a bit messy, but it saves cleaning the processor while using the processor is a bit quicker and results in a creamier texture. It’s really up to you how you make it. 1. Rinse block of tofu and wrap with paper towels followed by 2-3 tea towels. Place it on a cutting board or plate and add several heavy cookbooks on top. Press tofu for about 20-25 minutes to drain out the water. Alternatively, you can use a tofu press. 2. Grease a very large casserole dish. I used about 30 shells, but you’ll need to cook more than that as some shells will break during the cooking process. Cook shells in a pot of boiling water until al dente, about 8-11 minutes. Be careful not to overcook. Drain shells and set aside to cool. 3. Preheat oven to 400F. For the tofu ricotta: In a large skillet, sauté the garlic and onion in the oil for about 5 minutes. Season with salt and pepper. Add in the chopped celery, basil, and parsley and sauté for another 5 minutes or so. Feel free to throw in some spinach for extra greens. 4. For the tofu, you can either crumble it into the skillet with your hands or you can give it a whirl in the food processor and then stir it into the skillet. If you use the processor, the texture will be very creamy like ricotta cheese and if you crumble it with your hands it will be more chunky/crumbly. It’s up to you how you want to make it. I usually opt to crumble it by hand so I don’t dirty the processor. Stir in the nutritional yeast, salt, pepper, lemon, and cayenne all to taste. Over medium heat, cook for about 8-10 minutes or until most of the water cooks off. 5. Spoon about 1 cup of marinara sauce into the casserole dish and spread around. Add about 2 tbsp of tofu ricotta into each stuffed shell and place shells on top of marinara sauce. Cover shells with the remaining 2-2.5 cups marinara sauce and any leftover tofu ricotta. You can add vegan cheese on top, but I don’t bother. Cover dish with tin foil and poke several air holes. Bake at 400F for about 20 minutes or until heated throughout. Serve with a basic green salad and garlic bread, if desired. Vida Vegan Con Giveaway Winner! Traci I will shoot you an email today to get things rolling. Thanks again to Grace for her generous ticket donation and to everyone for participating. I really appreciate all of your lovely comments by the way. If you are still thinking about attending the conference (and I think you should!! ), there are still tickets for sale. I’m on a sugar/wheat detox so I’m drooling at these shells as I have a lack of pasta in my current life, but the rollatini I could have! I used 2 eggplants. I left the peel on for photo purposes, but I don’t eat the peel so it’s probably easier to just peel it beforehand (and it’s easier to slice without the peel too). First, pre-cook the eggplant to release some of the water. Preheat oven to 400F. Slice eggplant lengthwise into ¼ inch pieces – this part is a bit tricky, but don’t worry too much if you get the odd piece that doesn’t slice properly. Lay eggplant slices flat on a baking sheet lined with parchment and brush slices with oil. Sprinkle with salt and pepper (the salt helps draw out water). Bake for about 8 minutes and remove from oven. Set aside to cool. After that, you just add your tofu ricotta in the centre and roll it up. Place it seam-side down in the dish. Bake it the same way you do the shells. The eggplant works nicely to make a “noodle”, however I find it to be a bit watery, even with the pre-cooking. It’s not the end of the world, but I just wanted to mention it so you aren’t alarmed! That would have been my question, too! Thanks for that comment, Angela! Looks great! I was just curious if there is anything else I can use besides Tofu? I am new to the dairy free lifestyle and I am not sure if I want to venture to the Tofu. I have heard so many mixed opinions about it. Not sure if it is right for me or not. I was thinking I could soak some cashews, and use a food processor to make them into a spread “or cheese” I can add garlic, olive oil, and other seasonings to make it italian flavored..?? Please let me know what you think! 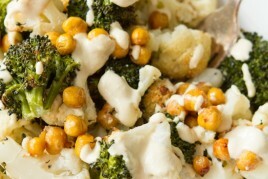 You could also roast cauliflower and blend with cashews. It’s a touch lighter than straight cashews but super delicious! A tip I use sometimes to make things less watery is to add some flax seed mill. In this case the gold would be better color wise. It absorbs the liquid like crazy and adds so much good stuff :) I’m sure im not telling you anything new and i’m by all means NO expert but I thought I might add as its helped me. Thank you soo much for helping me in my quest for a healthier family! I made this last night…it was so good! I actually processed the veggie mix (with spinach) too and it created a lovely smooth texture! Please send more sunshine because it doesn’t seem to be working! hah. I clearly jinxed it when I mentioned spring-like weather on the weekend. These look just like one of my favorite childhood dishes that my mom used to make. Except dairy-free, of course :) Delicious! I’m now officially on the hunt for gluten-free shells! If worse comes to worse, I suppose I could stuff the mini ones….right? Or is that only something a crazy-gluten-free-vegan would do? Hey, don’t know if somebody already mentioned this, but Tinkyada (my favorite brown rice pasta brand) sells grand shells that are GF for pretty cheap! I’m going to order a couple boxes of these because I cannot WAIT to make this recipe! Awesome!!! Thanks, I love Tinkyada too. Do you know where they source their brown rice from? Because a lot of brown rice grown in the US has extremely high levels of arsenic. Or maybe it would be easier in the meantime to use a gluten free lasagna noodle and roll it up. If that is easier to find. Tinkyada brand makes large brown rice flour shells that hold up well and have a nice bite. They are tricky to find, though. I was in an Athens, GA Walmart (shame) with my teenage son cursing the experience when I found them on the shelf!!! Those look great! Stuffed shells are such a great comfort food! This post is a perfect example of why I love your blog so much! Your food looks fresh, tasty and healthy.. and you offer alternatives in your recipes (soy-free filling, if I am so inclined). I look forward to your blog posts so much. They make my day! I’ve tried quite a few of your recipes (cookie dough balls, voo, lentil spiced soup, green monsters, pumpkin pie smoothie lentil hummus avocado pasta) and I’ve loved them all! I’m trying to turn to more vegetarian/vegan options and your food has never made me (or my meat-loving husband) feel deprived. Thank you so much. I am really looking forward to your cookbook! Hi Nan, Thank you, I appreciate that so much! Mmmm looks delicious! I was just thinking about summer and tomatoes for canning sauces. Also, can you add a gazpacho recipe to your summer to do list? Please and thank you from a tomato lover! I have been looking for such a recipe for so long! Thank you, thank you!! Stuffed shells was one of my favorites growing up! Beautiful photography, as always!! Oh wow- these look delicious! I think I’m going to have to make these immediately! They sound pretty easy also, which I’m a fan of. I’m not a big eggplant fan though, so I’ll be sticking with the stuffed jumbo shells! Zucchini would work well too. Also look at “Trisha’s Kitchen” on Youtube. I make her Black Bean Lasagna a lot and it is really good, the “cheese” in it is better than ricotta. Angela, I sympathise with your out-of-control photograph plight! For every picture on my blog I have about a hundred others on my hard drive! I haven’t come up with a good system yet :-/ Recipe looks so bright and fresh and ‘springy’! Going to a vegan cheese potluck this weekend and this would be a fabulous dish to bring along. Yum! Gorgeous photos + meal!!! I looove tofu as ricotta in lasagna and shells, which reminds me I need to make it again pronto. Definitely will try out this version! Looks like Tinkyada makes jumbo gluten free shells. If they are like they’re other pasta they should be pretty good. Hey Sarah, I linked to a cheese recipe in my post that I used in my lasagna recipe – I’m sure that would work in the shells too. Not sure if you can have nuts but thought I’d give that option. I’ll have to try both! I love beans and nuts, and haven’t had a stuffed shell that hasn’t made me really ill in a long time! Made them for dinner tonight, half with the tofu ricotta, but subbing white beans for the tofu, half with the basil cashew cheeze sauce with 2-3T of nooch. We used homemade pasta sauce and sprinkled a very small amount of daiya on top. Cheese on top is definitely unnecessary. Anyway, very good! We preferred the basil cashew sauce, the punch of basil was really nice, but next time we’re going to try the basil cashew cheeze sauce, sub for white beans, add parsley and perhaps run it through a blender after ingredients are added. Thank you both for the suggestions and thank you Angela for the delicious recipe! 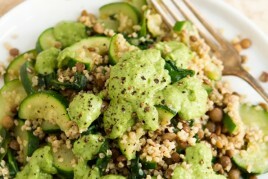 I think I could get fat off of your basil cashew cheeze sauce. Good gosh…. you had me at pasta. YUMMY. Thank you so much for including nutritional information! These are beautiful and I can hardly wait to give them a try. Tinkyada makes gluten free and dairy free big (“grand”) brown rice shells! :) I have some in my pantry and they are fantastic! My favorite gluten free pasta brand by far. Thanks Ali, I will keep an eye out for them. For people in Toronto, you’ll find the Tinkyada Brown Rice Grand Shell, if it’s in stock,at Fiesta Farms. Watch the cooking time…I found they cook faster than the suggested time. And they are a bit fiddly to stuff compared to the gluten options, which are larger. That said, when they are the only option for a dried, stuffable, gf pasta, they are worth the fiddly work. These look amazing! I love making stuffed shells. I’m always hoping to run across whole wheat jumbo shells but never seem to have any luck. BOO! I’ve never been a stuffed shell fan because I don’t like that much cheese at once and I don’t like ricotta…but a vegan version!? Sounds delicious! Especially since I love tofu! I bet your basil cheese sauce from your lasagna would taste good stuffed in the shells! Vegan cooking is such a challenge and you continue to master it! These look great, I love stuffed shells! I really wish the VVC was a different weekend, I would love to go but I bought tickets to FL that weekend. :( maybe next time. 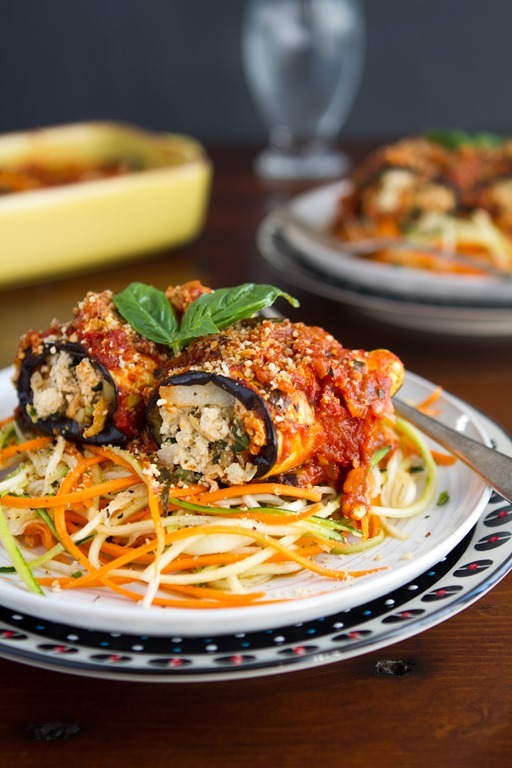 I made a vegan eggplant rollatini 2 years ago after returning from Italy – I can’t believe I never used the filling to stuff shells! I bet this could make a killer ravioli too. The brand Tinkyada makes jumbo shells. The only ingredients are stone-ground brown rice, rice bran and water. I’m sure they are available in most health food stores! Those stuffed shells look delicious! I’m definitely adding this to my “to try” list. I am glad this can be made without a food processor, as I don’t have a Vitamix or anything like it just yet. These picture are beautiful and the paste also looks delicious! Hi Angela, I use the Tinkayda Brown Rice Pasta Grand shells, which are gluten and dairy free- they work great! You can find them on luckyvitamin.com. This looks amazing! 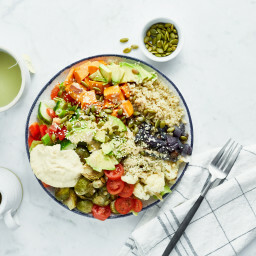 Would there be a way to substitute something else for the tofu? I try to avoid soy as much as possible. Hi Dani, See my link in the post to the lasagna recipe. 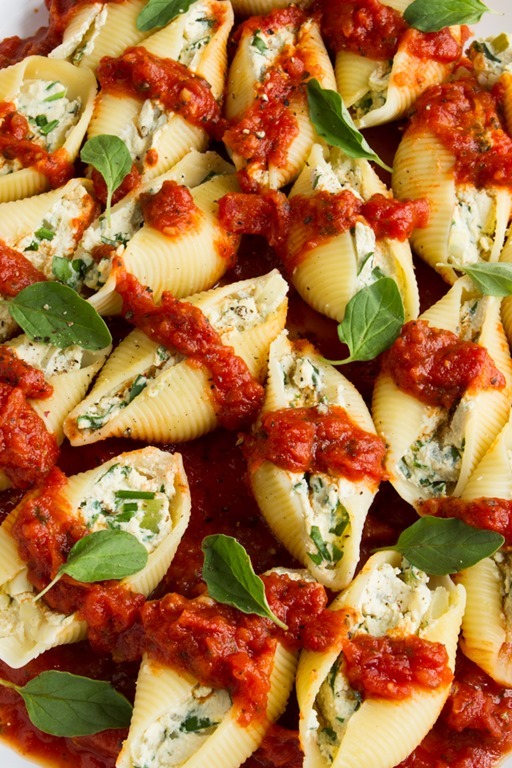 there’s a fantastic basil cashew cheese that should work in these shells. Making these immediately. Thank you! The Eggplant Rollatini looks fantastic! What did you use to make the zucchini and carrot noodles? And, did you cook them? Thanks!! Sometimes I lightly steam them, other times I don’t bother. Both are fantastic! I used my julienne peeler (see the link in the post) Zyliss brand. Hope this helps! 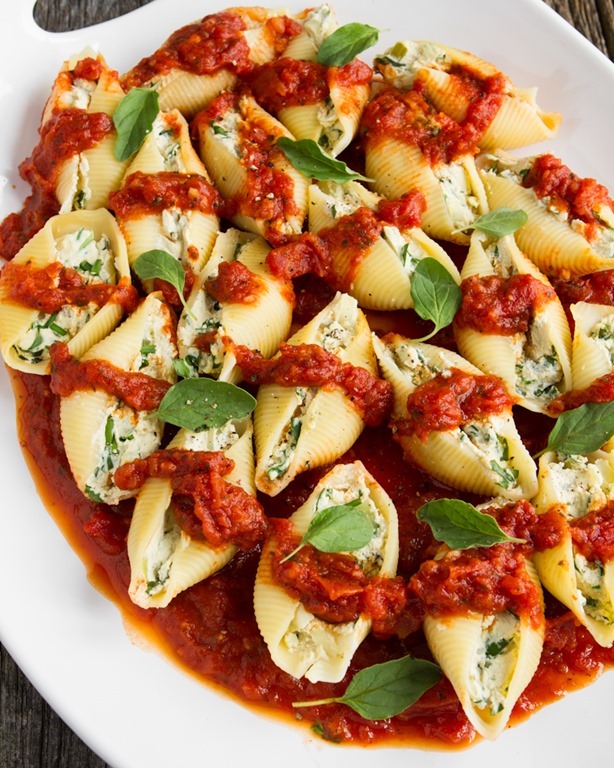 These both look amazing, I just made stuffed shells the other night, but they did not look like this! All of your food always looks SO delicious. This is a must-make. Soon! These look great! We did stuffed shells using spinach, white beans, and cashews (among other ingredients) – instead of tofu. I haven’t found gluten-free shells either – but you could always use this stuffing for gluten-free lasagna and use rice noodles! Whole Foods Grocer sells the gluten-free dairy-free jumbo shells. Not all together sure of the brand name. Hi! These shells look delicious! Just curious if there was a recipe for the marinara sauce? It looks super yummy! Hi Gina, I tend to use either White Linen Collection (from Costco) or President’s Choice organic vegetable pasta sauce. I don’t think I have an official recipe, but will have to create one this summer! Love the idea of tofu ricotta! Your creamy navy bean filling for the Layered Eggplant and Zucchini Casserole was such a hit at a dinner party a few months ago so I can’t wait to test this out! Thank you for making traditional dishes delicious for vegans and omnivores alike! These look beautiful Ange!! I love the tofu ricotta idea and am totally going to give it a try. Your stuffing is so neat and tidy! I love the Clean Food cookbook and you’ve inspired me to have a flick through the spring recipes tonight! I love how you replaced the ricotta – you’d never know by looking! They look delicious :). 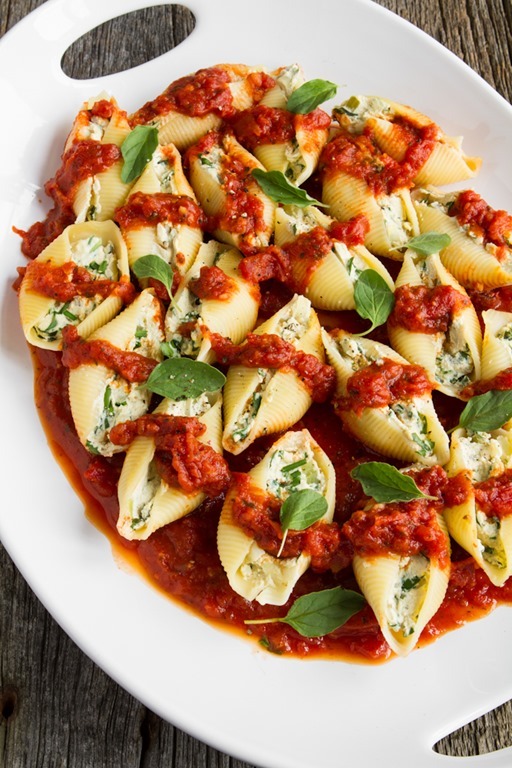 These stuffed shells are gorgeous :D I’m not even sure where to get big shells like that in Australia, I don’t think I’ve ever seen them (gluten-free or not). I’d love to make this with a cashew cheese, I’m salivating just looking at the photos! I have a question about nutritional yeast. In my latest research I have come across information that recommends staying away from it as it is/contains MSG. Have you heard anything about this? I’m sorry I haven’t heard of that before, but I will certainly look into it. As for this recipe, you can easily leave out the nutritional yeast and I’m sure it will still taste fine. Enjoy! Tinkyada has some awesome shells that are GF and Vegan! I love all of their pasta shapes – they can actually be cook al dente and taste really good. Those stuffed shells are looking so good! This looks and sounds delicious!! I love tofu ricotta :) — I normally put a little bit of white miso and tahini in mine. It’s also really great in lasagne! I am so full from tonight’s dinner….but you just made me so hungry again. I’m always searching for vegan pasta recipes, this one looks like a keeper. This looks fantastic! I’m a big fan of Terry Walters’ books. Her orange tofu recipe is one of my favourites! That meal looks so professional with the presentation. Very nice! If I know I’m not going to make recipe, but I know I want to save it for the future, I usually print a copy. I can’t seem to find the usual print buttons for this post…. hum? Thanks for all your recipes — love following your work! Your photography skills are amazing. It’s a little complicated for me, this recipe, but somehow you manage to create what looks like miracle food! Aw thank you! That means a lot to me. My college actually had pretty gourmet food, at least they did my freshman year before the recession hit. Anyway, stuffed shells were one of my favorite foods so I’m excited to make these! I’m confused : ( I thought you said you haven’t been able to find gluten-free and dairy-free shells? Are these simply dairy-free? Hi Leah, yes they are dairy-free and not gluten free…the recipe was made a few months back. Pasta is such a great comfort food to me, this looks like a great hearty meal. Photos are gorgeous! Stuffed shells remind me of growing up in my Italian family. I haven’t made them because the “family recipe” isn’t exactly waistline-friendly. Thanks so much for this version. Made the shells last night–my husband couldn’t even tell it was tofu ricotta (I blended it) instead of cheese. We’re not vegetarian or vegan so I added in some spicy chicken sausage, and it was super good. Thanks for the great recipe! Oh, and I made Manicotti b/c that’s what I had in the pantry–worked great! 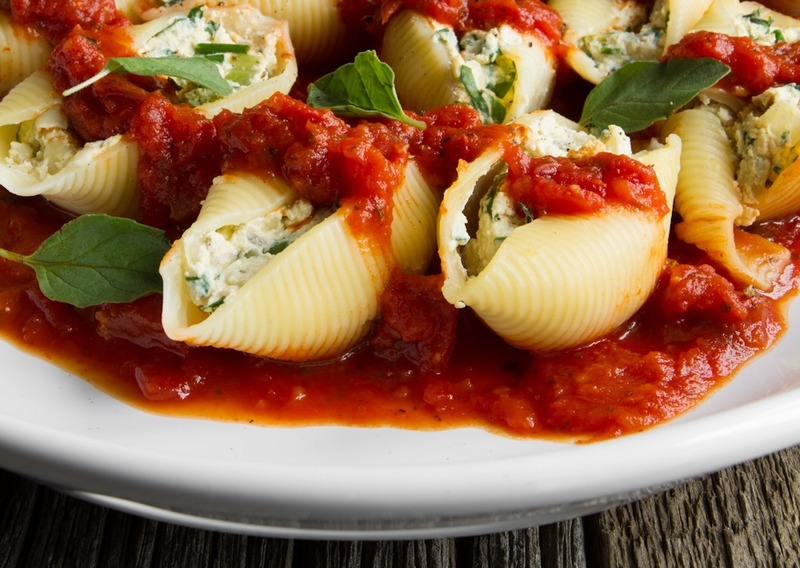 these stuffed shells look so tasty, they make me hungry right now! I might have to try this. My husband randomly saw a recipe/cooking show that used a cashew/tofu base for the “ricotta/bechamel” sauce, and said it “looked good” . . .
Have you ever tried shirataki noodles? This recipe seriously excites me! I have been wanting to cook with tofu ricotta “cheese” for awhile now. How perfect :). Va Va This looks amazing and spectacular! Also as someone said earlier in the comments, I also can’t wait for your vegan cookbook! [ Smiles ] A nice way to spice up one’s pasta! Thank you so much for including nutrition info on your newer recipes. Can you tell me which calculator you use so I can figure out the nutritional info for some of the recipes that don’t have that information? These shells look delicious! Definitely something we will try. I can’t get over how pretty your dishes look! Thanks for sharing. Yummy! These looks amazing. I may try make it for my darling. Thanks for sharing. Thank you for the great recipes I have found here few innovative ideas that I will apply when cooking for my family. I love stuffed shells! I haven’t had them since I went vegan so I will have to try this recipe out. Your photos look amazing!! That looks amazing!! I think it’s jumbo stuffed shells for dinner this weekend, thanks for sharing! I made this recipe last night and I LOVED it! I posted it on Twitter and tagged you in it with a photo. The tofu doesn’t even taste or seem like tofu. To me it’s like having ricotta cheese in it. However, I did put it through the food processor after pressing it with books and weights for 30 minutes. I’m big into texture so that was great for me. For those who are unsure about tofu just keeping trying different recipes and play with the firmess and ingredients you put into it. Tofu really can take on the texture/taste of anything if you play around and figure out what you like! Looks amazing, will have to try them soon, thank you everyone for the tips! The shells look delicious but I cant stop salivating over the eggplant rollatini. Tinkyada makes brown rice pasta shells. They are wheat free & gluten free, made with brown rice and water. This looks delicious. Thank you for the wonderful recipes you post. although one I do like is to combine the ricotta with butternut squash and some toasted pine nuts and mixed herbs really finish it off. Thanks for your inspiration. Oh my goodness, I just stumbled across your blog and everything looks mouthwateringly scrumptious. I have always loved your blog. I do have a question though… why do you take so very many photos of the same foods in every post? For example, this post has 4 pictures of the same dish… each showing basically the same texture. I am not being critical, I am asking honestly because I am starting a blog myself. Do you find that this adds to your blog? What is the purpose? looks very very tasty. i must try this recipe for me and my partner as we are healthy freaks, i like the pictures and ingredients used in the recipe. I’ve been following your web-site for a while! It’s amazing! Delicious recipes, great photos, and it’s just fun to read all info you’ve got here:) Thank you! I cooked jumbo shells the other day! Yummy!!! Me and my husband loved it! These look great! I have only made nut cheeses before, so I am super excited to try a homemade tofu kind. These do look delicious! I was wondering of the assembled meal can be frozen? Will the tofu’s texture change? I’m currently on maternity leave and going back to work soon. I’m trying to stuff my freezer with ready made meals for when I do the daycare-work-daycare-home dance! That is a great question and I’m sorry I don’t have the answer! Maybe you could test drive a couple for your first batch and see how they thaw? That way you’ll know if you make them again. Sorry I couldn’t be of more help! Oh man, stomach growling, and mouth drooling! Can’t wait to try this. I love the tofu cheese! I made lasagna with it several months ago and added spinach and other veggies, it turned out super delicious. Can’t wait to try this one out! I’ve been wanting to try stuffed shells and this looks like a winning recipe! Hi, Just found your blog and love the recipes and suggestions. Aubergines are a personal favorite of mine too. Have you ever heard of a dish called sabih? aubergines with a tahini ssauce and zhoug drizzle. zhoug is basically parsley,coriander,olive oil and green chillies.it is served with flat bread or on it’s own, really good. I rarely make stuffed shells because it’s the one type of pasta that I can never find in anything other than just “white pasta.” There’s never any selection, and trust me- I’ve looked at stores all over the place where I live! These look beautiful- but I have to say- I’m reallllly drooling over the photo of the eggplant rollatini. Oh my yum. This looks great! I am motivated to get in the kitchen now! I made this tonight, the lazy way. I just made rotini and then layered, marinara, rotini and tofu mixture and put it in the oven. It made a LOT and it was so good. Thank you so much. Love love loved this recipe!!! It was amazing and it’s really satisfied our ( my girlfriend and I) craving for Italian food. We’re newly vegan and your recipes are regularly saving our butts from headed to the closest restraunt serving a cream covered slab of meat. Thank you so much. My girlfriend says your book needs to come out ASAP!! Lol. We will definitely be the first to buy a copy. So happy to hear that Ahkilah, thanks for trying! Made these last night for a dinner party full of vegan-friendly (ish) carnivores, not telling anyone they were vegan.They were a HUGE success, none of my friends could believe they were so good (and cheese-less!). Only edit I made was to use a hand mixer on the tofu filling prior to stuffing the shells–it gave the mixture a lovely fluffy texture that was lacking even with running the tofu through a food processor prior. Made these tonight and I could not have been more pleased. Will be making these the next time we have company for dinner. Thanks for another great recipe! I love pasta shells, and the more garlic the better as far as I am concerned, so well done on a great recipe. Totally love it. My husband and I made these for dinner tonight. We were not sure what they were going to taste like. They didn’t look like yours. lol. They were amazing!!! Thank you so much for the great recipe!!!! Just finished our shells for dinner – YUM!. I stuck to your recipe and added just a bit of kale that I had steamed and frozen last week. We went with the crumble method and enjoyed the texture. I was originally planning to make the recipe in Terry Walters book, but couldn’t imagine how 2 bunches of collards would fit into this quantity of filling. Seemed excessive, as much as I like to get my greens in. Yet, you mention wanting to add more fresh veggies and herbs – the herbs I get (and fresh basil added awesome flavor), but I still had to serve veg on the side to round out the meal. How do you get your extra veggies in when you serve this? I love your blog and I follow it routinely and love every recipe I try. really amazing. I’ve tried the stuffed grand shells recipe and it was delicious. Me and my wife loved it. I was going to make these because they look like awesome comfort food (especially in the cold spell currently gripping London) but I couldn’t find any jumbo shells ): Checked Wholefoods and Sainsbury but couldn’t find them… Don’t seem to be a very British thing! Stuffed shells weren’t really on my list of things to cook before, but now I’ll have to try them. And I’m gonna try your “cheese” in my lasagna! Sounds awesome. I just made these for dinner tonight, for Easter! They were LOVELY. I love this recipe. I have made this twice in two weeks. I changed it up a little because my husband and I are not big fans of celery. I sautéd 1 zucchini chopped, tofu, spinach, sun dried tomatoes, garlic, nutritional yeast, onion, oregano, salt, pepper, and a pinch of cayenne. It was a hit! I just made this and it is delicious! The store didn’t have the giant shells, so I used the no-bake lasagna noodles and also threw in some mushrooms. Thanks for the great recipe! This one looks very yummy too. I have never used tofu in my repices. Have you written anything about how to choose and cook tofu etc? I recently experimented with jumbo stuffed pasta shells too. I filled mine with a combination of left over cooked quinoa and your lemon basil “cashew cheeze”. They were delicious, even the kids devoured them. I think next time I would add some celery to lighten up the mixture and texture even more. Made this for dinner. It was really delicious! Easy to make too, just dont use the whole box of shells…. (or you will have shells with no stuffing). Will make again. Brown rice pasta. They’re all gluten free and dairy free. This stuffed pasta looks delicious, however my husband and I have type 2 diabetis and try to only eat whole wheat pasta. Are there any whole wheat large shells on the market? maybe this feeling would work rolling up in lasagne noodles. I can try that. Thanks for all your wonderful receipes. Hi Glenda, I personally haven’t spotted any WW shells yet, but I like your idea of using lasagna noodles and rolling those up. goodluck! Would these freeze OK? Would freezing the stuffed shells change the texture of the tofu ricotta? I’m cooking for two or since I’m married to a meat-eater, sometimes I’m cooking for just one and making him something else. Thanks! Looks delish. I’m going to make this because I love pasta!! I bet some fresh or frozen spinach would be awesome in these too. Omgoodness….I just made these. SUPER yummy. I can’t wait to eat them for dinner. I sampled one before I bake them, and WOW…I LOVE them. I am Italian, and I gotta say, these are delicious. I missed Ricotta, and now I don’t have to. YOU ROCK! Hi Guys, Does anyone know what you can substitute for the yeast in this recipe? I am allergic to yeast. Help please as many recipes call for it. Thanks! wow this is great! I replace the hot pepper powder with sriracha sauce!!! Wow! This is a great recipe. I did add about 2/3 carton of frozen spinach, and used the food processor, and am thrilled with the result. My husband and 10-year-old daughter loved it too (and we are not officially vegan…just moving to vegan/vegetarian for at least half, if not more, of the week). I don’t think I’ll ever use ricotta in lasagna or this recipe again. I just don’t miss it (or the calories and sodium). I tried another recipe (from a different site) for a similar ricotta mixture with spinach, but I think yours is better and more complex with the sauteed vegetables and herbs. I am completely taken by your website and recipes. Every one I have tried has been amazing. I can’t wait for your cookbook to come out (although I’m not quite sure how you will top the recipes you’ve already published). Thank you! Hi Diane, So glad this worked out for you. :) Thanks so much for your kind words! OMG this was soooo delicious :o). Thanks for sharing. When you say nutritional yeast do you mean the kind that comes in the dark little jar or nutritional yeast flakes? Tikinyada Brand makes giant gluten free, vegan pasta shells. Not sure if you get those in Ontario but we get them here in B.C. Stay fab! I’m going to try to get my meat-eating husband and sons to eat meat-free during the week so I need friendly recipes. I am going to start with this one!! Looking forward to your cookbook!! When I’ve made tofu ricotta (though I’ve used a different recipe from this one), I put the tofu in a bowl and mash it up throughly with a fork. I suppose you could also use a potato masher if you have one (though I don’t). I usually use silken tofu because I like that texture. Thank you for this AMAZING dinner !! this is my first week going vegetarian/vegan… and this was wonderful !!!! Oh, and they looked exactly like the photo! Gorgeous! I made this dish last night and it was such a huge hit! All of my children (and I have 6) loved it and wanted me to make it again. Thank you so much! Just made these last night…so good!!! They were even hubby approved:) I usually do simple meals but the extra time I spent on these were well worth it. I haven’t tried freezing it yet, but I’ve heard that people freeze tofu with success. Maybe try freezing just a few to see? Thank you for your response. This is completely off the topic of stuffed shells but still in the realm if freezing tofu in a recipe. With my usual pecan pie recipe, I double it and make three pies. I always freeze a couple. I know tofu turns spongy if it’s been frozen but do you know if silken tofu is the same way? I’ve yet to cook with it and am wondering if a pecan pie can be frozen if it’s made with silken tofu. I can’t find anyone who can answer this one–even the author of the cookbook (grrr). I just made this tonight and it was amazing. My husband couldn’t believe there was tofu in the dish. Now I know this defeats the dairy free aspect of the recipe, but I added 4oz of soft goat cheese at the end of sautéing the mix. I’m lactose intolerant, but I can eat goat milk products. Another tip: Trader Joes high protein extra firm tofu is great if you want to skip the tofu water pressing stage. 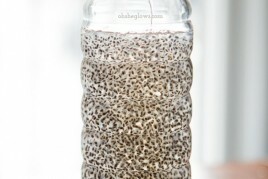 You can take it right out of the package and not have a watery mix! Just made this recipe for supper – delish!! My kids had no idea it was tofu – they thought it was cheese:). Thanks for the great recipe – we will be making it again. For gluten free shells I highly suggest Tinkyada brown rice shells. My husband is Italian and he actually likes these. We’re GF and now going dairy free as well. I have the jumbo shells in the oven now (and I sampled along the way-yum!). I am not sure if I did something wrong, but I only had enough “ricotta” filling for about 15 shells :( Next time I will double the filling, but I was just checking. Just made this tonight- DELICIOUS! I used the Slow Cooker Marinara Sauce from Budget Bytes. It was fantastic. Thanks for the great recipe! Just made these and they are delicious! This was going to be my first recipe using nutritional yeast but I could not find it in any of my local stores (Safeway and Haggens).So unfortunately I just omitted it, however, it still turned out delicious. The only thing I would change is the amount of noodles I made. I boiled 35 (I added a few extra since it said that some might break) but I think I would’ve been fine with just 20-25. It’s all good though, I have some already-boiled noodles for another pasta. Thank you so much Angela! I made this and it was absolutely delicious! The tofu “ricotta” was an awesome idea. Thank you for the recipe! I want to make this soon for my boyfriend who is the worst eater i have ever met. He literally eats pizza breakfast, lunch, and dinner! Me, being a green-smoothie gulping health nut, i want to sneak healthy foods into his diet any way i can and i’m just wondering how much this tastes like the real thing for those of you that have tried this recipe. If i tell him that this recipe is vegan i’m sure he will be on his way to McDonalds faster than i can say “tofu ricotta”. Thanks! These came out wonderful! I did NOT use celery though and instead added an entire bag of baby spinach. I also put a teaspoon on sugar in the ricotta mixture as I’ve seen this in other recipes. If you can’t find shells or you wanted to do gluten free you could turn these into lasagna rolls.. I made these shells last night and they were so delicious! I also love your cookbook and have used it by far more than any other cookbook I own. Your recipes are very flavorful and your pictures are gorgeous and appetizing. I don’t care for cookbooks without pictures. I hope your future books will continue to contain plenty of photos. Thank you for sharing your wonderful talents and tastebuds on your blog! Thanks to you I now cook at home a lot more. Not sure how you feel about brand name shout outs but Manini makes great gluten free lasagna sheets. My GF GF (gluten free girlfriend) cuts them to make ravioli so I bet you could manage a shell. I think I’ll try it! Can I freeze the left overs? Oh my, these are delicious and I am so glad I found the recipe and this website. My one year old son has a dairy and soy allergy (I used the basil cashew cheese) so I am having to change the way I cook in a big way. We are not vegans, but have been slowly moving along on our journey to real, non processed food. It is very challenging, cooking this way with 3 little ones underfoot, but I believe this is the best thing I can do for my family. I wish I would have known all this information when I was younger, but am glad I know it now! Thanks for your website…it’s an amazing resource. And you can bet your cookbook is on my Christmas list! So..I’ve sort of been on a roll these past few days. This is the fourth recipe I’ve made off your site in the past 24 hours. I guess I can say that I am addicted. Every one of your recipes has been truly amazing! I went vegan around 7 months ago and I feel like you have made the journey so much more fulfilling! Thank you thank you! By the way I just made these for dinner tonight. Incredible. I can’t believe these are vegan. Even my carnivore fiancee thought they were delicious! Looks so delicious — but unfortunately my oven is broken at the moment. Is there another method I could use for the last step? ps. do you have any no-oven hot-dinner recipes? These are amazing! I made these on Friday- day 6 in a row of making dinners from this website since I discovered it’s existence 9 days ago and already have dinners for this week lined up from it also. I used the food processor on the tofu-i had no idea tofu could even get that creamy. I added the spinach that was suggested, about 2 cups and I was short on basil (used the last of my plant but didn’t quite make it), so I added some fresh oregano in. Having never worked with jumbo shells before, I thought this was going to be a bit finicky with stuffing each shell, but it was so simple! Everyone was pleased-the flavors were perfect, the filling was creamy, and you would never even know it was stuffed with tofu. I did measure out 2 tbsp and I only got 24 shells out of it, not 30 but it was just for the 3 of us so we still had leftovers! Huge hit all around. I didn’t see a place to give stars to rate this, but if I did then it would hands down have 5 stars. I’ve made stuffed shells before and I put cauliflower inside. I cook up the cauliflower till a little softer then tender crisp. I then mash them (you can use potato masher of food processor), add in the flavourings ( fresh herbs, ect)…stuff the shells and cook. This was amazing! Now in all fairness I added roasted butternut squash that I had stored from the fall to the tofu mixture and I also used sprouted grain pasta shells. Other than that I made it exactly as the recipe said and my family gobbled it up. I even posted a picture on Facebook because I’m trying to convince my family and friends that vegan food is amazing and consists of more than what they consider rabbit food. Thank you!!! Hi Angela! I was thinking about attempting this dish for dinner tonight, and it seems that I have all the ingredients but nutritional yeast, and the grocery didn’t have it. Should I continue with the recipe with out the yeast or is that a large part of what makes it work? Just made these using processor. So good. I wonder if my husband will know it is tofu! I made these for my family tonight and everyone loved them! I didn’t tell them the “cheese” was made with tofu until everyone had tasted them. My picky 8 year old son proceeded to devour 2 more shells! Everyone gave it a thumbs up! I should note that I omitted the parsley and added more basil. Also, I only put in 2 T of nutritional yeast since my husband is not a fan and he didn’t notice at all. I’m always looking for vegan recipes my omnivore family will eat. They all voted that this is a “keeper” recipe! Thanks so much! This was so yummy!!! I changed a couple things (I don’t like celery or onions) and used kale blended with my tofu and it tasted just like something you would get at an Italian restaurant. Definitely trying more recipes this week!!! Looks great is it safe to freeze the shells? I’m sorry to say I haven’t tried freezing them, and so I don’t have an answer for you! Maybe try freezing a few as a “test drive”, and see how they turn out? I’d love it if you’d let me know how it goes! 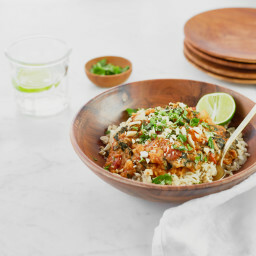 Hi, planning to make this for my birthday this weekend (along with a bunch of other recipes), and was wondering if anything could be made in advance? If I made this herbed tofu ricotta two days early, would it keep in the fridge alright? Thank you for this lovely recipe! I made this tonight and we loved it! My non vegan husband said he even liked it better than ricotta and honestly, I couldn’t tell much difference. I will not be adding celery to the mix next time as I don’t think it fit the dish, the flavor was overpowering and we didn’t like the crunch, but everything else was superb! Great recipe!! My children and I made this tonight for dinner. My youngest doesn’t like meat or poultry and has a dairy and egg allergy so vegan recipes are about the only thing we can all eat. I used the food processor for the tofu filling and it turned out creamy and delicious. I was really easy to make as well which is an added bonus. This was a winner for our family. I’m so happy to hear that, Kristen! Made this for my husband tonight, who’s not shy about telling me he doesn’t like something, and he LOVED it! He’s not usually a fan of anything with nutritional yeast but it wasn’t a problem in this dish. That’s awesome, Debbie! I’m so glad it was a hit. Do you know if these freeze well? I am looking for something that I can have in the freezer to take out and make for Christmas Day. Amazing tofu ricotta!!! I blended mine in the food processor. My only disappointment is that it only made 12 shells not 30. It was barely enough to feed my boyfriend much less the rest of my family. I will keep that in mind next time for making it. I made this last night and it was delicious! I was skeptical about the tofu ricotta but it totally worked. I used a food processor and it was smooth and had the exact same texture as real ricotta cheese. Will be making this again! I’m so pleased it ended up being a hit, Ashley! This recipe is delicious. I blended the ingredients into a smooth filling. Put in too much fresh basil from the garden, and the “ricotta” ended up green. So good! Definitely a keeper! Mmmmm fresh basil…I’m glad you enjoyed it, Carol! My shells are in the oven. I blended the tofu. I tasted the ricotta and I’m blown away! I also added sun dried tomatoes. Thanks for the recipe! Hey Kat, This recipe isn’t in my cookbooks, it’s just here on the blog :) Hope you enjoy it if you make it! Thank you so much for this recipe. I have yet to try it but I have good feelings about it being amazing! I used to make a stuffed shell recipe a few years ago and its one I’ve missed. I was so happy to see this! thank you, thank you! Hey Elizabeth, I hope you enjoy it…I’d love to hear how it goes! Made this and loved it. This will be a go to for me every week! Thanks so much. My husband even loved it?!! So glad the stuffed shells were a hit, Nancy! I didn’t have parsley or basil but I added miso paste and it was still AMAZING. My oldest is an omni and said it was “marvelous” and my 1 year-old are her whole bowl. Made these last week and they were AMAZING. I had a lot of filling left over since I couldn’t find very large shells at my grocery store. I ended up mixing the remaining filling into spaghetti squash with some marinara and it was so so so good!!! I have to admit that I was pretty skeptical about these, but they turned out delicious! I decided to make them with both the cashew cheese recipe that was linked in another comment and the tofu ricotta. I put the cashew cheese in the bottom of the shell with the ricotta on top. Even my husband really liked them and said they tasted just like a regular stuffed shell. But even if I had done just the tofu ricotta I think they would have been just as good.